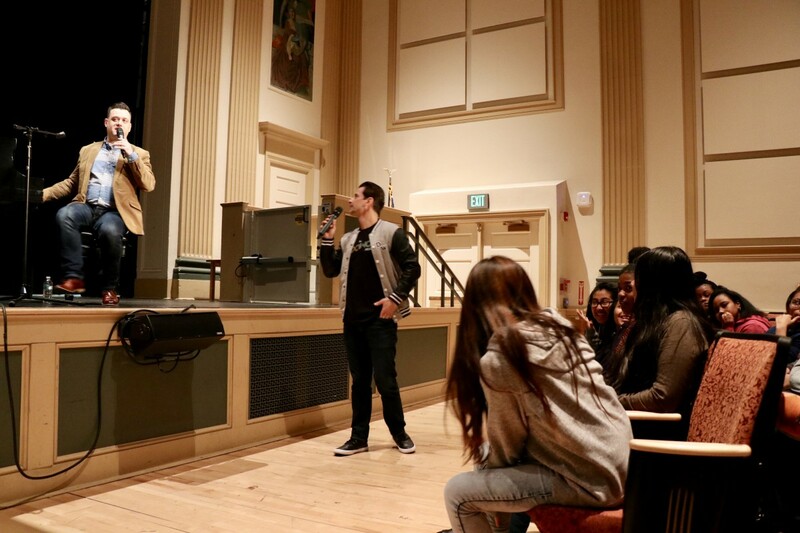 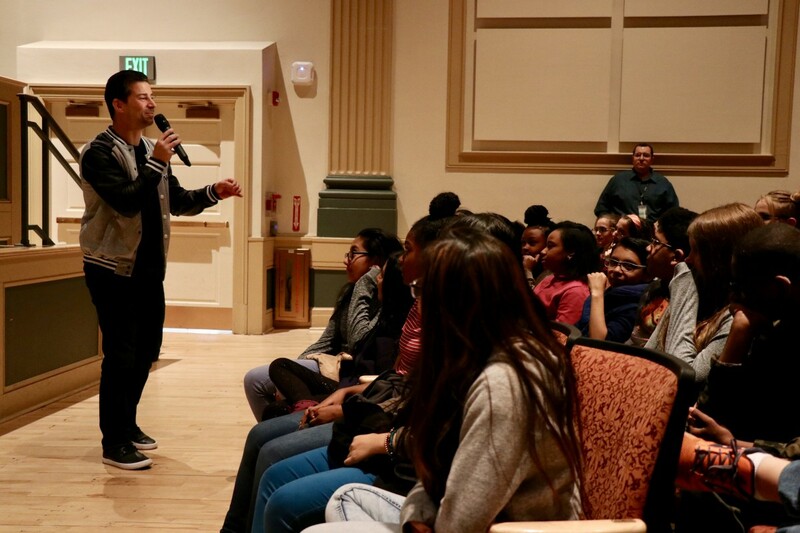 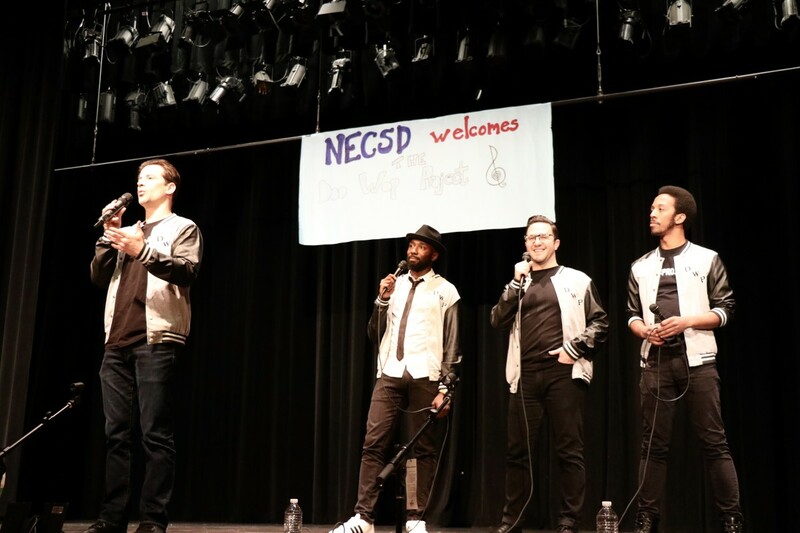 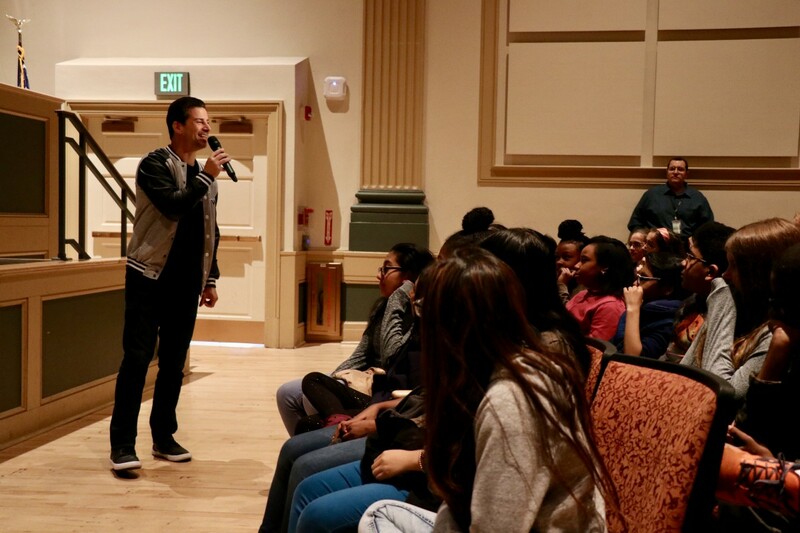 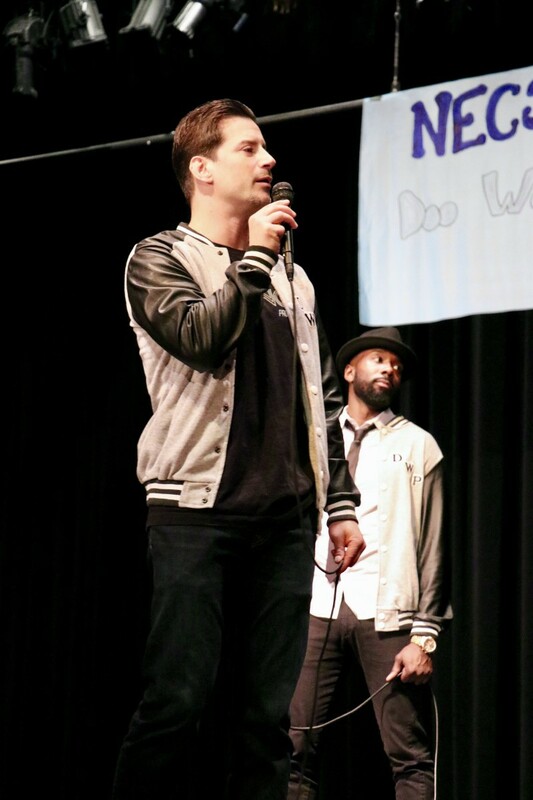 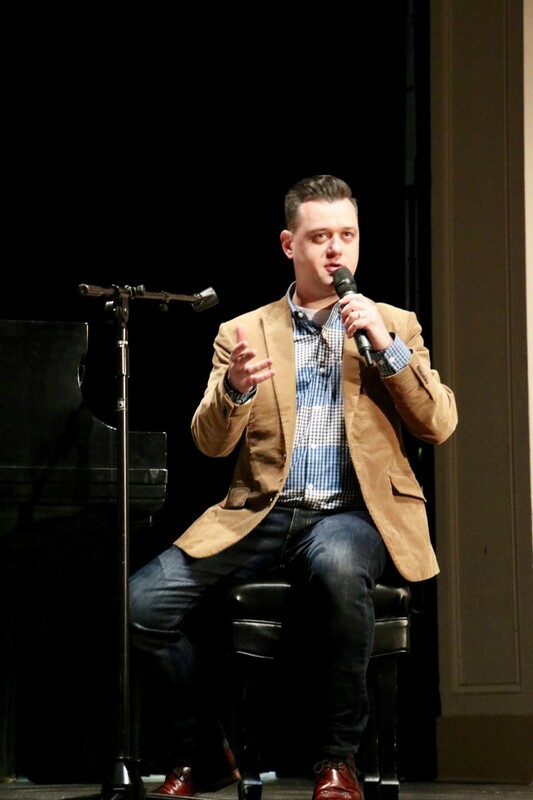 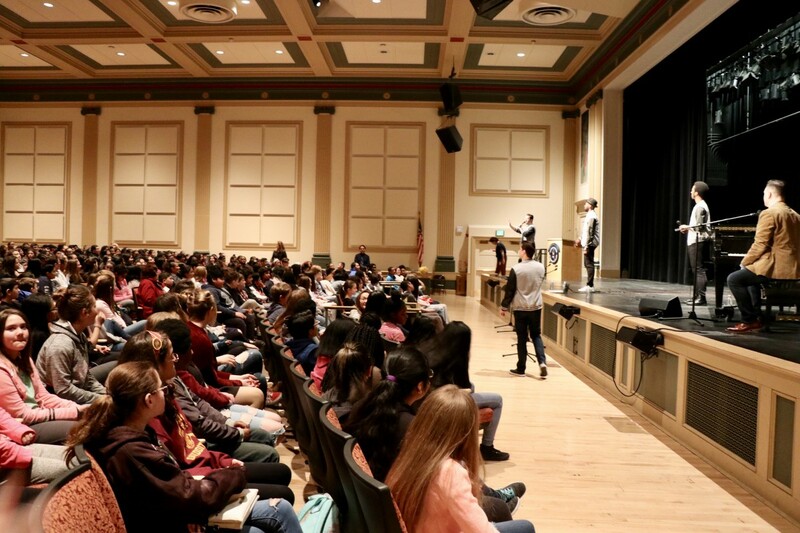 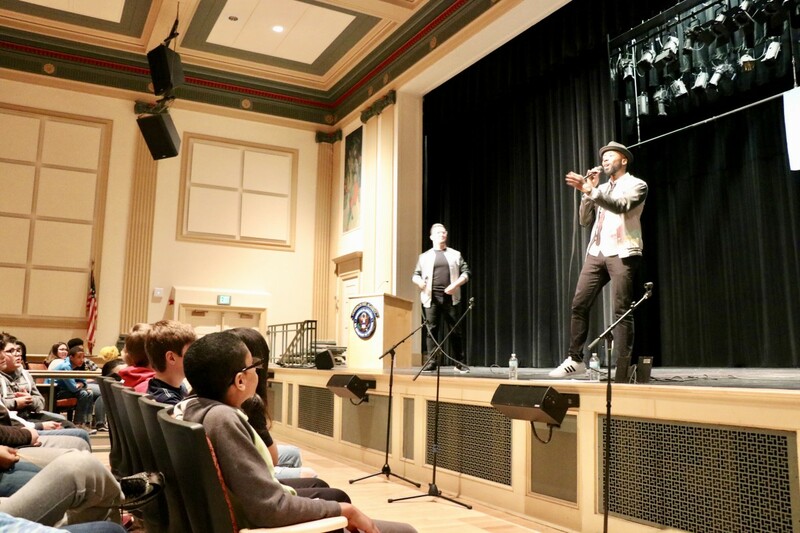 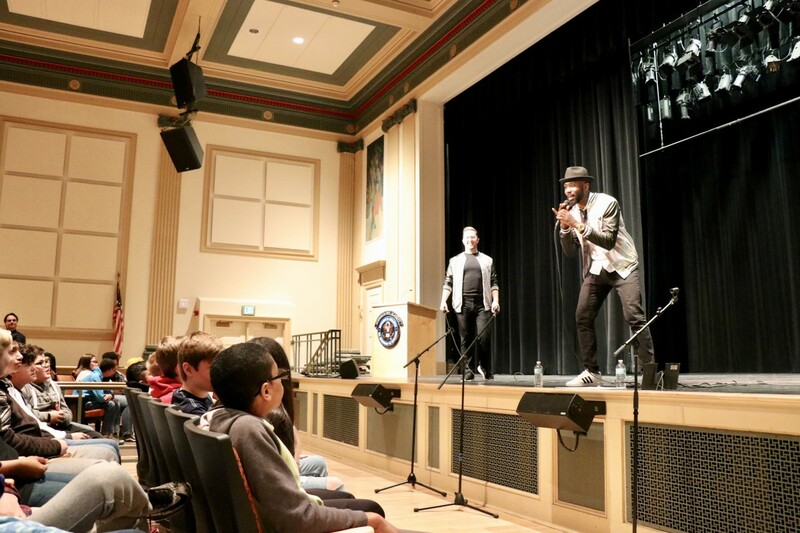 The Doo Wop Project visited Newburgh Free Academy, Main Campus to discuss music, perform, and sing along with elementary and middle school choruses. 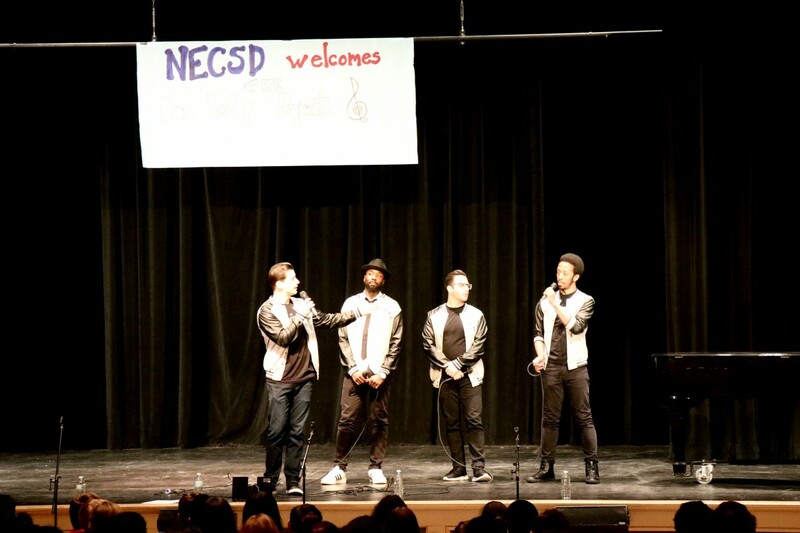 Together with the auditorium filled with students, the group picked out harmony lines and sang with different sections of the room. 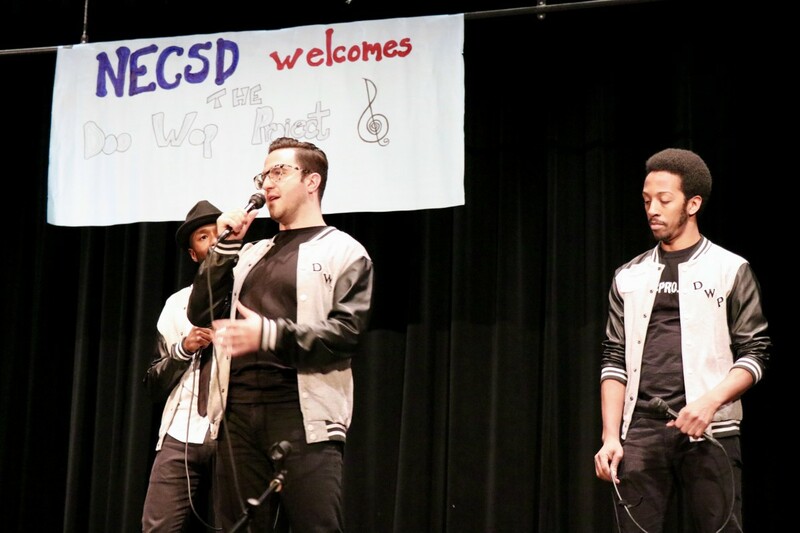 The group encouraged students who like to sing Doo Wop to use their ears as much – if not more than – they read the music. 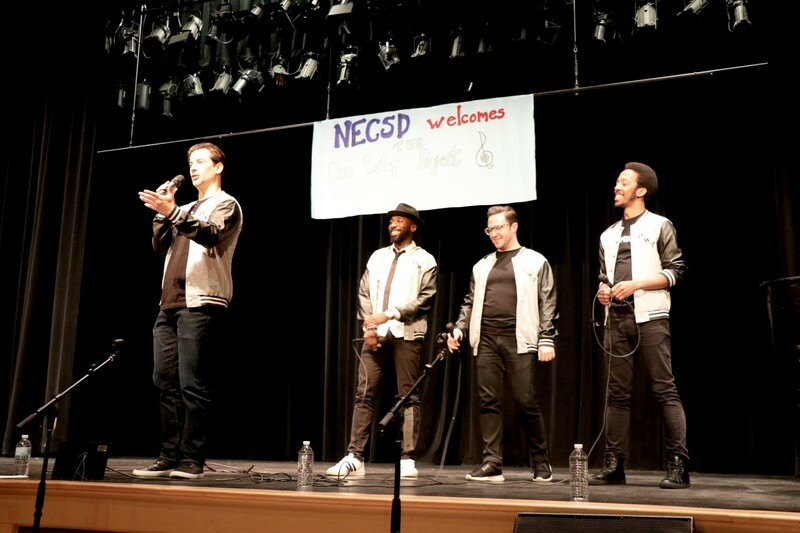 Finally, the group pointed out similarities between Doo Wop and the music that can be heard on the radio today.